Donjuan Triumphant, owned by the late Leicester City owner Vichai Srivaddhanaprabha, delivered an emotional victory on the final day of the flat turf calendar at Doncaster on Saturday. 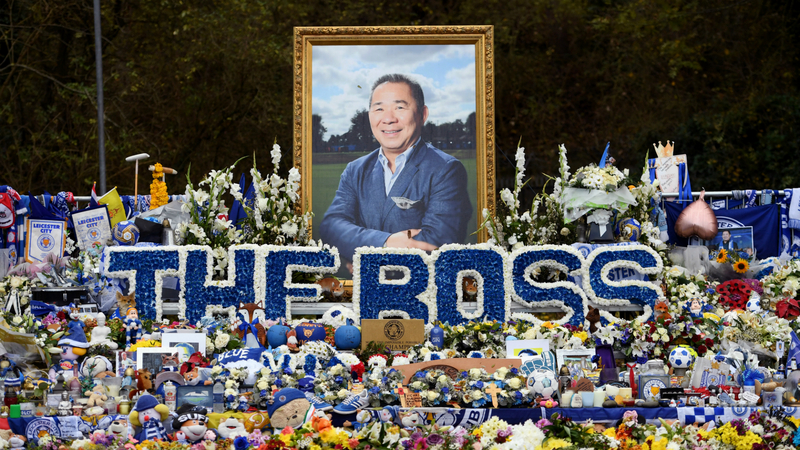 Srivaddhanaprabha was one of five people who died when his private helicopter crashed outside the King Power Stadium last month. And on the day Leicester honoured Srivaddhanaprabha against Burnley, their first home game since his death, Donjuan Triumphant secured a poignant win in the Wentworth Stakes. The five-year-old edged out Hey Jonesy to earn a first win in the blue and white colours of King Power Racing since Srivaddhanaprabha's passing. A very poignant winner here this afternoon in the colours of King Power Racing. Speaking after the race, trainer Andrew Balding said in quotes reported by Racing UK: "It puts horse racing and the triviality of other things in life into perspective. "It was a huge loss not just to his family and families of other people involved in the crash, but to the whole King Power family. "He was a tremendous guy, as has been well recorded and reported, and will be sadly missed."